I will always remember giving a presentation on Reiki for the first time in Italy many years ago, working through a slightly timid translator. At the end of my presentation I asked if anyone had any questions for me. A lady in the front row wanted to know why Reiki cost so much and why did I feel it was acceptable to charge money for something that was given freely by the Universe. A good question and one that I had an answer for. Unfortunately working through a translator can be challenging and I sat and watched as my translator tried vainly to articulate my answer and was swamped by a crescendo of noise, the room bursting into it’s own debate as everyone simultaneously voiced their opinions. I was left wondering at the time why Reiki seemed to be singled out when it comes to the issue of exchange and why other therapists don’t appear to have the same reaction when they ask for money in exchange for their services? It turned out the woman who asked the question gave workshops on dream analysis and I wondered afterwards why she didn’t have an issue herself charging for something that was given freely by the Universe. We all dream after all don’t we? Fast forward a few months and whilst I was visiting Glastonbury, I saw a notice board offering Reiki training to master level in just a weekend for just £30! I couldn’t believe to the degree someone could undervalue Reiki not just in monetary terms but also as a self development and healing practice. How could someone possibly grasp the depth of Reiki practice to achieve Master level in a weekend? Forgetting myself, I took out a big red permanent marker pen from my bag and wrote across the poster..
We can all get pretty stuck around money. Strong feelings and emotions can surface around it and in most surveys on what causes arguments in couples, it comes out on top. But all of these emotions are not actually about money, they are about what we’ve been taught, assumptions we’ve made, beliefs, patterns and habits. Money is just the unit of energy exchange. When we step back and look at our attitudes about money, we have an opportunity to see what’s driving us—where we’re out of balance. Charging for Reiki is actually a misnomer. The dream analyst was correct when she said the Universe gives Reiki freely. What we charge for is not Reiki, but our time. The cost of a Reiki treatment is usually consistent with the price of a massage in your local area. Reiki practitioners invest time and energy in learning. Reiki training involves both expense and commitment and modern Reiki practitioners have ongoing costs like room rental, equipment, travel expenses, insurance and advertising all of which can be very costly. Reiki practitioners who value themselves charge a fair price for their time, services and commitment to Reiki. Many people in the Reiki comminity believe it was Hawayo Takata that instilled the belief that we should always charge for a treatment or class. It is true she charged the equivalent of the cost of a house to become a Reiki master in the 1970’s something in the region of $10,000. But it was Dr Usui himself who recognised whilst helping the beggers on the streets of Kyoto that nothing is valued unless there is some form of exchange for it. Dr Hayashi himself would ask his students to give their time in his clinic in exchange for his teachings. In Chakra theory, money is related with the Svadhisthana chakra. This chakra relates to personal boundaries, self worth and the movement of energy. It is represented by the element of water and metaphorically reflects ways in which we contain water. There can be leakage, stagnation and unclear water depending on how we relate to it. Same is true with money. When you examine more closely your relationship to money you will see that it directly reflects your sense of personal value, your awareness of your own boundaries and the natural flow of exchange in your life. If you find it difficult to ask for money when giving Reiki to people ask yourself why? Is it you that doesn’t feel good enough to be charging? Do you have some core beliefs that involve the relationship between spirituality and money? Or is it your faith in the practice of Reiki itself that is in question? Maybe your individual practice needs to be worked upon or maybe you need to go and experience a Reiki treatment from someone else to remind yourself of it’s benefits again. Would you hesitate to pay another therapist practicing Reiki for their time? In the years that I have been involved with the practice of Reiki, I have seen it’s value in real terms fall. I trained to become a Reiki Master nearly 20 years ago. I continue to value and teach what I learn’t and my original investment back then has been returned to me many times over. Today if you shop around you can get a Master attunement through ebay for £10. The choice of where you go to train and what you pay, is a direct reflection of how you value yourself. Your investment is a reflection not only of your own training but also the future of Reiki. The same goes for what you charge, if you don’t value what you are doing then certainly no one else will. This entry was posted in Reiki Training and tagged boundaries, Chakras, charging for reiki, charging money for reiki, Dr Usui, Five Reiki Principles, Gassho Meiso, History of reiki, how much for a reiki treatment, how much to charge for reiki, just for today don't anger, just for today earn your living honestly, law of attraction, manifesting what you want, money and reiki, Reiki and 7 chakras, reiki and money, reiki exchange, Reiki masters, Reiki school, Reiki Training, self worth, the cost of reiki, the price of reiki, The Reiki Principles, Usui Reiki, what to charge for a reiki treatment] by Rich. Bookmark the permalink. Richard invited me to leave a response on this blog as he knows I’ve been focussed on neutralising peoples’ reactions around the subject of money for as long as he’s been doing Reiki. It’s a sort of “Reiki” where the person comes into harmony with money as well as with themselves, where the line between what is spiritual and what is material, or what is private and professional, or any attempt to come up with any rationalised general justification for charging or not-charging, or how much the price or fee must always be, simply dissolves. 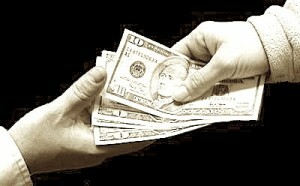 The result being that handling money as well as oneself at any moment is a joyous, interesting and pleasurable artwork! From this perspective I’ve chided Richard a little on what I consider some inadequacies in his post – where I think the subject he’s addressing is not likely to “lie down” – but much more importantly was thrilled and sent hearty congratulations because such a post is a landmark in itself. My experience is that this kind of reflection/discussion and debate around money/fees and spirituality, value, values and price does not happen until a person or group of persons has reached a high level of awareness, with most other life-subjects already “ticked off”. So the congratulations extend to anyone reading this response! For most people this money subject comes on the radar only towards the end of a long self-development path. (This is surprising when encountered but explainable). Richard has asked me, might he organise one of my “Money Seminars” – these are laboratories for researching and developing your relation to money – in the UK (I’m in Switzerland)? So let me use this blog to pass the question on. Would you be interested, would you come? If so please let Richard know, maybe by leaving your response on this blog? Many thanks Peter. It’s always of interest to me to further develop my own relationship to money. I would be thrilled to organise a seminar for you here in the UK. It’s been a long time coming and maybe the time is right now. Thats a good question Alexis, ‘how long is a session?’ I always notice an interesting moment during a treatment where flow becomes push and that to me is the signal to stop. As I started to work with Reiki soon after ReiKi ShoDen Initiation through Richard Ellis – he supposed me to take a bit of exchange for my energetic work although I still was practising. People brought me a lovely flower or invited me to dinner, payed me an amount they thought would be right. After ReiKi OkuDen Initiation – people even payed a bit more, as I was more experienced in the sessions I was giving. After a longer period in establishing myself and also organizing workshops for Richard in Switzerland – later for myself I needed to travel long distances by train. In Switzerland we have a two class system to travel: Business- and ordinary class. I had a dream that time and because of this dream I chose to travel Businessclass instead of ordinary class which I used to travel with. Although I didn’t have the money for paying more. I said to myself: “your worth, travelling in nice conditions, and to arrive relaxed – instead of vice versa” and did so – and I had another dream which told me to increase the prices for my workshops and for the sessions I was giving. I am looking forward to completing my Level 1 soon and have been thinking about this topic quite heavily lately. I really do feel that I want to share love and healing to others and do not need to do this as a “job” for financial gain. I like the idea as mentioned above in another comment, about exchanging gifts/services (should a person be able to do so). But otherwise I want to help those I can. I do realize that that can sometimes mean an increase of people requesting your time and that could be tiring. I hope to play it by ear and see where this Reiki thing takes me.